Dream rides don’t plan themselves. Fall is that unique time of year when the Summer heat has cooled and the cold Winter temperatures have not yet set in. These are optimal adventure riding conditions and with some rain sprinkled in for good measure, it doesn’t get any better. Most of us will make our way out to the local trails that we know and love but a select few true adventurers will fully commit to the riding vacation of a life time. Will that be you? Let us help you with planning a motorcycle ride. This list could go on and on but you get the point. Planning one of these adventure rides can take some time. Now for the good news! Combined with our terrific partners we have made planning easy enough that you can start right now. All of your motorcycle parts and accessories can be ordered at JC Motors. They have competitive prices and their guarantees are by far the best we have come across in the industry. If you just want to show up and ride without all the hassle of planning then Back Country Discovery Routes(BDR) is for you. Their routes are specifically designed to take you through the most scenic and entertaining terrain possible. If BDR is what you are looking for you can become a member or give the gift of membership here. 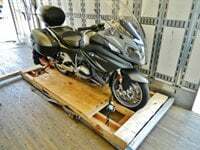 Putting together a true adventure riding trip is simple with Motorcycle Shippers. You fly while we take care of getting your bike to your riding destination. We’ve been around since 1994 and are leaders in the shipping industry. Our record of timeliness, safe delivery and friendly professional service means you can trust us.